On this page, you’ll find all the courses and modules that make up The Method. With the A La Carte option, you choose any module of your choice, your lessons all drip immediately and you have access for 3 months. You can also take the program by enrolling in Group Coaching. With this premium option, you have Shimona to guide you and answer questions during weekly webinars. You also receive the enrichment from group members. Modules drip throughout the semester and you retain access as long as you are in the program. Here’s an outline of each semester, course and module to help you choose the best option for you. Introduction: Our two introductory courses are the Meet the Method mini-course and Obstacles and Steps to Healing. They lay the groundwork for the benefits of The Method to take hold in your life. 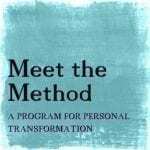 Meet the Method explores the meaning of Kabbalah and how it can help us live a purpose driven life. It presents a three-pronged approach to self-mastery along with driving questions that facilitate fresh solutions to life’s challenges. 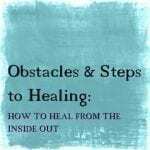 Obstacles and Steps to Healing discusses a variety of internal obstacles that prevent us from healing. It then presents the elements of consciousness that enable us to achieve the highest healing of all. 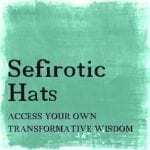 Soul Map: Our three Soul Map courses are Tree of Life; Healthy Attributes and Sefirotic Hats. The mystical Tree is analyzed from many angles so as to present a complete picture of the human personality. 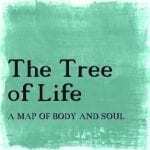 The Tree of Life describes the Kabbalistic tree and how it maps onto the body and soul. This course is a fundament for the rest of The Method. 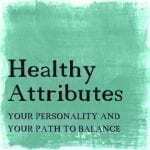 Healthy Attributes applies the Kabbalistic map to the human personality. Each core attribute is analyzed in its healthy and unhealthy form to assist us in our journey to self-mastery. Sefirotic Hats introduces a problem solving technique, which uses the Tree of Life as a means to gain different perspectives and generate new solutions for our lives. Identity: Our three Identity courses are Iffy Sticky Self; Dual Identity and False, Real, True. 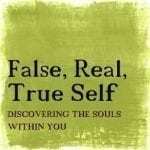 They lie at the very heart of The Method and enable us to identify and connect with our core self, thereby transcending external challenges and healing from within. 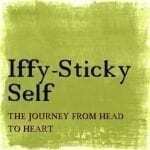 Iffy-Sticky Self explores who we are at the core of our identity. The notion of identity is formulated as an antidote to shame and a pathway to inner peace. 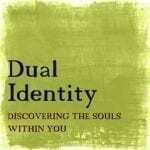 Dual Identity introduces the notion that you have not one but two souls. It examines their character and drive and the interplay between them. False, Real, True applies these ideas as it looks at our deepest motivations. A distinction is made between Freudian analysis and the Kabbalistic model. Purpose: Our three Purpose courses are Action Arena; Mindfulness and Purpose. They present a unique perspective on service as a means to reaching our highest purpose. 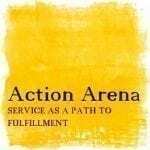 Action Arena discusses the primacy of deed in the process of transformation. Rather than simply being a byproduct of life, action is presented as the raison d’etre of the human being. 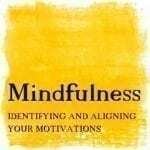 Mindfulness deals with identifying the motivations for our actions. It presents intention as being a driving force that impacts the direction of our lives. 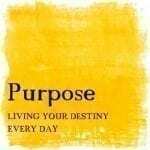 Purpose guides us towards living life with more meaning by beginning our journey with an end goal in mind. 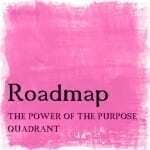 The Purpose Quadrant is introduced as a tool to help us identify and manifest our purpose. Creation: Our three Creation courses are Creation, the Chaos mini-course and Do Think. We analyze the Biblical account of the world’s formation; how the details of creation parallel our inner being and how we can use this knowledge to heal and live our highest life. Creation looks at the intention, anarchy and light of Day One as a map for unblocking ourselves; facing our Furthest Fears and discovering our Deepest Desires. 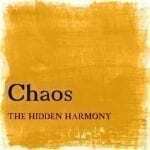 Chaos delves further into the disorder of Day One and introduces a brief, highly effective technique for finding the harmony hidden within apparent chaos. 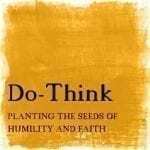 Do Think looks at Day Four of Creation and analyzes the dimensions and growth cycles of a tree as a metaphor for internal growth and self-mastery. Vision: Our two Vision courses are Open Shut 1: Beyond Nurture and Open Shut 2: Beyond Nature. They use the first instruction spoken to Abraham as a template for the growth process. The Vision courses present the emotional core of The Method through profoundly effective coaching and steps. Open Shut 1: Beyond Nurture describes three external factors that define and bind us and how to navigate them. Open Shut 2: Beyond Nature defines three internal factors that define and bind us and how to navigate them. This is where The Method becomes deeply personal. 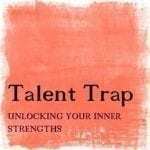 Freedom: Our two Freedom courses are Talent Trap and Tribe Work. They address the origin of the exile of the self and present remarkable techniques to access freedom. Talent Trap examines the story of Joseph’s exile as an analogy for our self-imposed exiles. It posits a counter intuitive method of breaking free of those limiting behaviors. 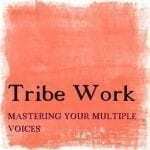 Tribe Work presents a refreshing approach to liberating ourselves from the many conflicting voices that make up our personality. We discover how to look after our parts from the perspective of our essential self and thereby function as an integrated, whole being. Connection: Our Connection courses begin with Relationship Matters. Having done the necessary internal work, we can now look at interpersonal relationships. 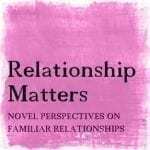 Relationship Matters presents the Relationship Cube and The Method’s core principles and tools for healthy, meaningful connection. It goes on to offer insights and suggest tools you can use to enhance all your relationships – from that with your self to your loved ones and your Creator. Actualization: Our Actualization course is The Roadmap. It brings together all the previous courses to help you manifest the growth you have attained through The Method in the here-and-now. The Roadmap takes you down the paths of happiness, creativity, productivity, nutrition and more. You’ll learn how to use the Purpose Quadrant to direct your life and manifest your goals, along with a remarkable segment on time management. Make a living and make a difference. Become a certified Method practitioner. 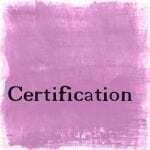 Having completed all twenty prerequisite courses, participants are trained under direct supervision and in small groups over 6 months to become certified practitioners of The Method. Training includes live group sessions and requires a supervised practicum and test.